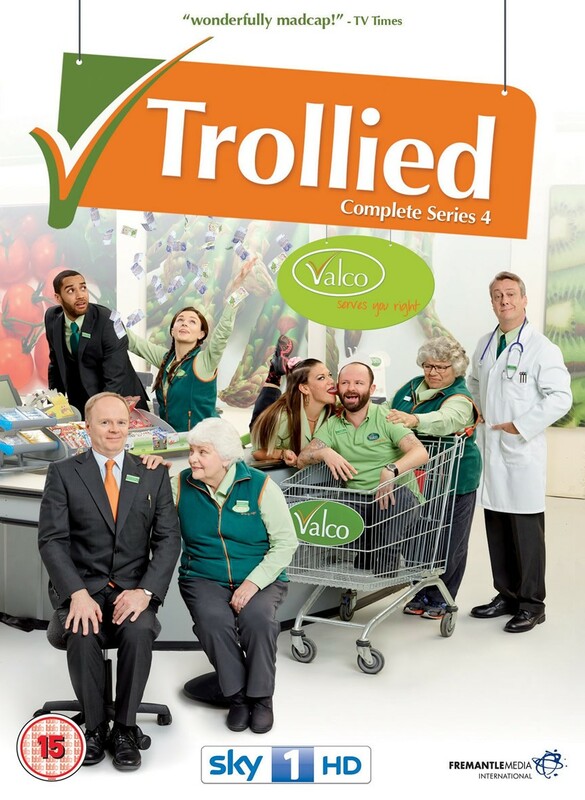 Bafta award-winning actress Miriam Margolyes, Stephen Tompkinson and Samuel Anderson (Doctor Who) join the crew at Valco for this fourth series of Sky1's much loved comedy. Valco has a new pharmacy with its resident pharmacist being Brian (Tompkinson). Brian is something of a fantasist with a chip on his shoulder about doctors. Also new to the store is Rose (Margolyes), a seemingly sweet old lady who is in fact a devil – well what else would you expect from Colin's Nan? With strong opinions and a fierce tongue, Rose is hard work for Gavin but it's Lisa who has the real fight on her hands. The difficult job of managing these new additions is made harder by cocky new till boy Harry (Jack Carroll) who is probably brighter than the rest of the gang put together. So when Gavin recruits a safe pair of hands in handsome young Daniel (Samuel Anderson), things should be easier. That is until the owner of Valco decides that his hopeless daughter Charlie (Aisling Bea) needs to learn the ropes and he's chosen Gavin's store to train up this unsackable nightmare. Add to that the usual larks from old favourites: Margaret loves her new vocation as a 'nurse' aka pharmacy assistant, Sue and Linda are still having a laugh on customer services and is love finally in the air for Neville? Contains all 8 episodes of series 4.